I went to a Superbowl party today where there were a bunch of start up people guys, and as often happens in situations like this, someone asked me what I did for a living. Typically there will be some questions and the person will either understand content marketing, or they won’t. This post is for those who don’t really get what content marketing is, why companies do it, or how it’s helpful in growing leads for companies. I’m going to use H&B as an example so you can see how we eat our own food. SERPs stands for Search Engine Result Pages – in other words, where does your website rank when someone is searching for a term. For example, if you Google, “Shira Abel” you’ll see Hunter & Bard (the site you’re reading this on) on the first page of results. It probably won’t be first, as LinkedIn, Twitter, TNW, and General Assembly have my profile on them and have more content and as such higher rankings – but it will be on the page. Content marketing done well over time gets you to the top of the SERPs for the keywords (keywords are the search terms mentioned earlier) that your potential customers are searching for. From there you funnel them to sales. Your prospective customer searches for something. Typically it’s a pain that your product will fix. If you have researched what they are searching for and understand your market you’ll be able to easily come up with a list of keywords to work on ranking for. This list will be used later when you build out an editorial calendar and start creating content. By using these keywords in the Title, tags, and text of your post (preferably the first sentence) – along with writing interesting, well written content you’re helping your prospects find the article that helps solve their itch when they search for it. We recommend at least 2 articles a week of great content. The more you blog, the higher the quality of content, the longer you keep it up consistently – the better. If they really like you they may want more information and will either go for the low commitment newsletter or the higher commitment CTA. A prospect that gives you permission to market to them is a prospect that should be cherished and respected. Please don’t spam them with crap. If they signed up for the newsletter you can build mindshare by giving great content in your newsletter on a weekly, bi weekly, or monthly basis and offering various ebooks, case studies, or white papers via gated content on landing pages. If you’re wondering what a CTA looks like, you can check one out at the bottom of this post. That will lead you to a landing page where we’ll give you the promised content offered in the CTA, for the price of your personal information so that we can contact you later. We have a bunch of ideas in the pipeline, but these are our landing pages so far. Each goes to gated content that asks for information and when that page is filled out I get a notification on my phone. If I’m awake – I’m calling. And it works, I’ve called someone immediately after to have them answer the phone laughing. Note – you can’t call someone if you don’t require a phone number on your form. Always require a phone number on the form. WE’VE BEEN GIVEN INFORMATION – NOW WHAT? Email steps up to the bat. Either through the newsletter already mentioned or through an automated drip campaign that’s designed to deliver maximum value for the prospect. Keep in mind, this isn’t spam. The email address has been given. With all of the noise and distractions out there it takes more than just filling out a form to close a deal. If you can’t get them on the phone – email works. This all depends. We’ve found an uptake on traffic from the first month of typically 20%. The leads increase as well. I do think that content is better for either high value sales or sales that rely on search engines to be found. 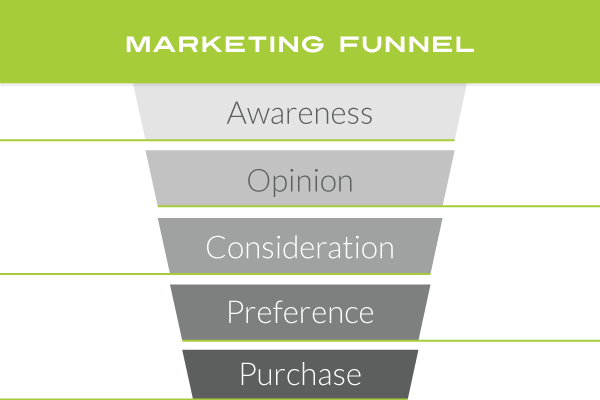 One because thought leadership and good content are great for lead nurturing through the funnel and Two because content marketing pushes you up the SERPs. Here’s the thing though – the strength of content isn’t just in the increased SERPs or the reciprocity it helps grow. It’s not just about the social proof of your thought leadership. While all of those are awesome, the real strength of content is the fact that it grows in strength over time. If you blog consistently for 5 years it will be hard to take you out of the first page of the SERPs. You can stop all paid ads, and content marketing will still be a wall so insurmountable your competition will never be able to scale it. That’s what we’ve found with our client AppsGeyser who had some serious big guns after it in the past five years, and I’m sure it will work for you.